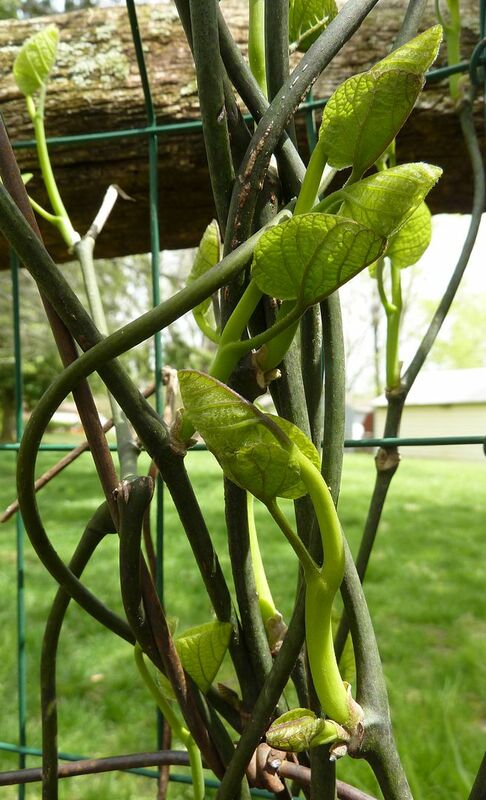 Dutchman's Pipevine have started leaving out. I forget whether I planted Aristolochia macrophylla, or Aristolochia tomentosa though I don't think it matters much. Neither is technically native to my area. A. macrophylla is listed as being native to NJ, however it's true native range is up in the mountains and was only planted as a neat garden vine in lower altitudes. As it was spread around, this increased the range of the Pipevine Swallowtail Butterfly. This butterfly is somewhat elusive and I've heard of whole house that were covered in their host plant and yet never had them arrive. Generally the reason is that females don't always stick around where they were born to replace the population they came from but rather they venture out to find different populations of males and keep the gene pool flowing. So while I have two nice sized plants, roughly as long or as tall as I am, I might not see the butterfly for some years. 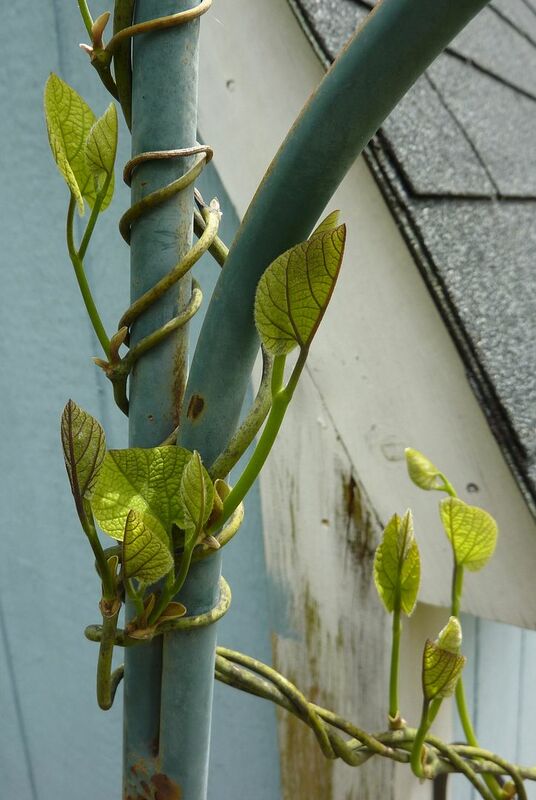 One vine I'm hoping will finally take over the walls of the shed, and the other looks like it's about to strangle the back fence. Umm May and June is when these plants are supposed to flower and I'm looking forward to that as well. But also I'm planting three more vines to hopefully take over other parts of the yard as well.